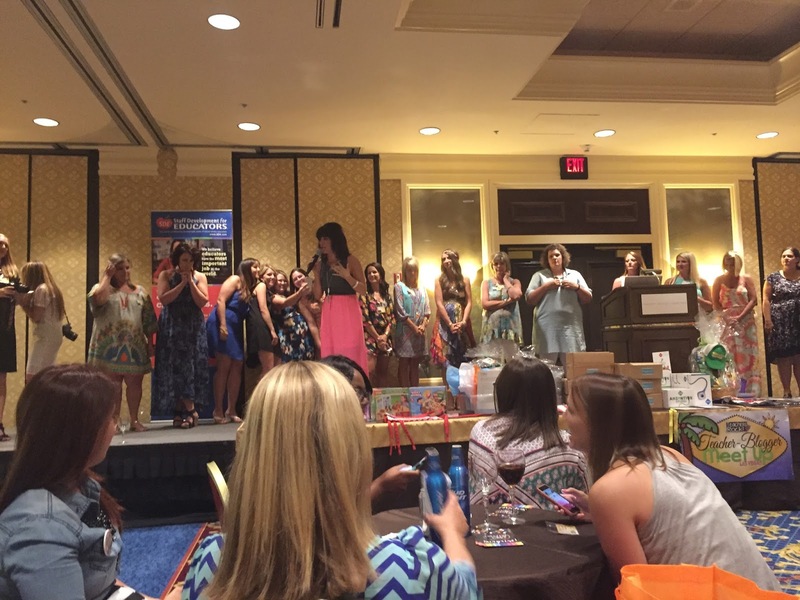 Books, Bows and Big Ideas: Vegas 2015! 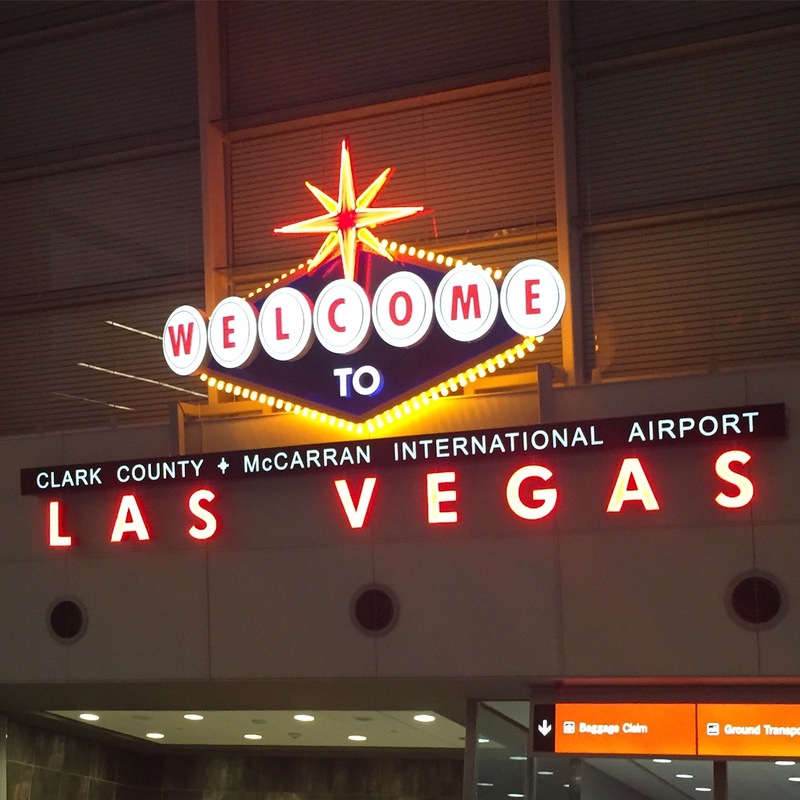 I just got home from an amazing week in Vegas! 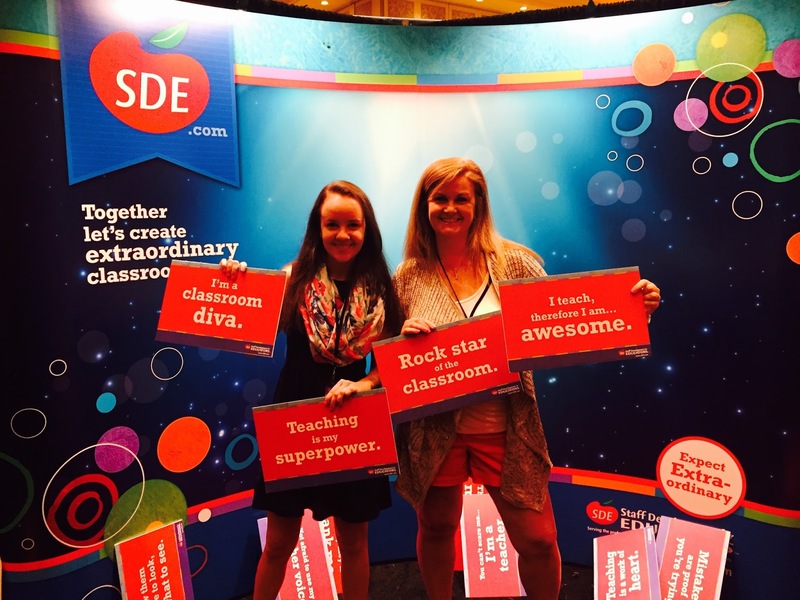 I spent the week attending SDE's national I Teach K conference, then the Teachers Pay Teachers seller conference. It was such an awesome week! My mom and I went together and we both had such a great time, we can't wait for next year. 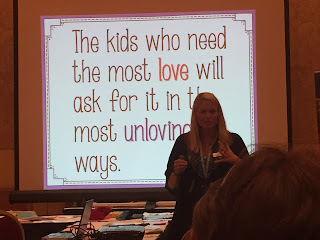 The first three days were spent at I Teach K, we heard a ton of amazing presenters. I am SO glad that I got the chance to go. 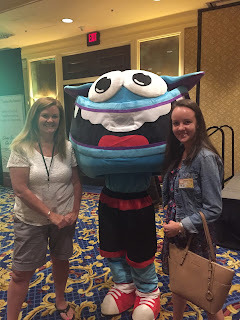 The presenters and their ideas really made my mom and I so excited about the upcoming school year. Seriously, all that we could talk about while in Vegas was ideas for next year and everything that we were learning in our sessions. My mom filled up almost an entire notebook, of things to try in the classroom. Isn't this dress cute? I got it for Vegas and was so excited to wear it, that I wore it on the first day. After having it on for about an hour, I noticed it was turning my whole body and my bag navy blue! I like navy blue a lot, but would prefer if it stayed on my clothes and not on my body. I kept it on for the whole day because I really liked the way it looked, definitely not the smartest idea. When I got back to the hotel room at night I was REALLY blue, and it would not come off. I had to use makeup remover wipes on my entire body and still couldn't get very much off. If you saw me this week and noticed I was looking extra blue, it was the dress' fault, not mine! I absolutely love reading other teachers' blogs, I check my favorites almost every day. I was lucky enough to meet so many of my favorite teacher bloggers, and even got to attend some of their sessions and learn from them. I still can't decide which was my favorite, they were all so awesome. 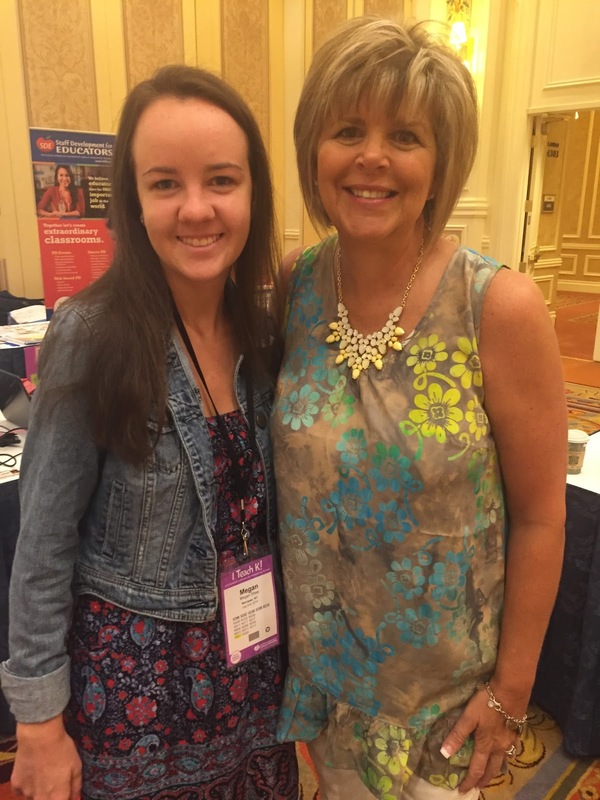 I spent almost the entire first day learning from Deedee Wills, she is fantastic. 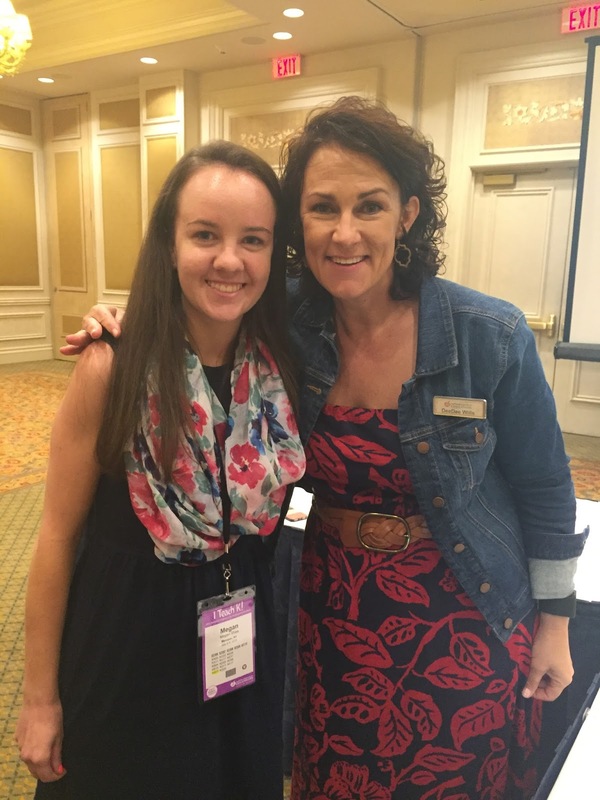 I can't wait to use some of her ideas in September! I also spent a lot of time learning from Kim Adsit of KinderGals. She is awesome as well! My mom loved her ideas the most! 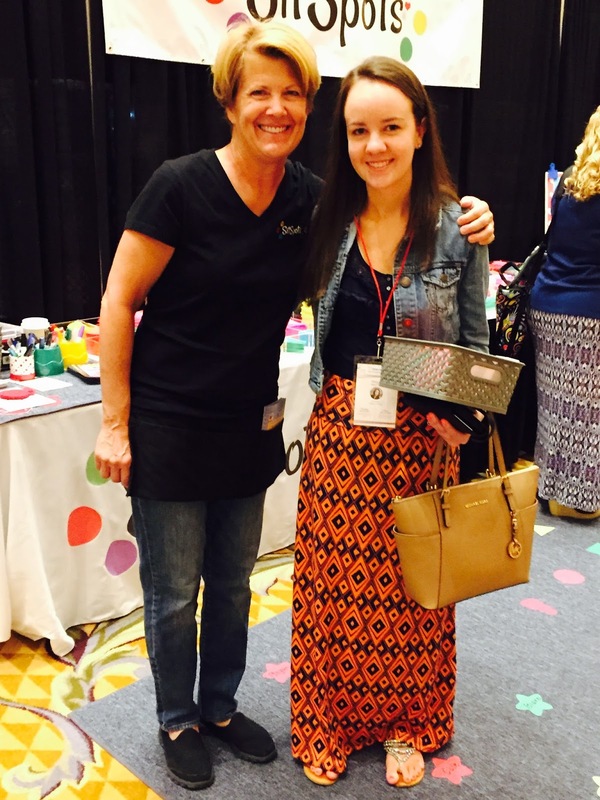 I spent an entire day getting ideas from Elizabeth Hall of Kickin' it in Kindergarten, she had so many great ideas! I can't wait to use what I learned from her! 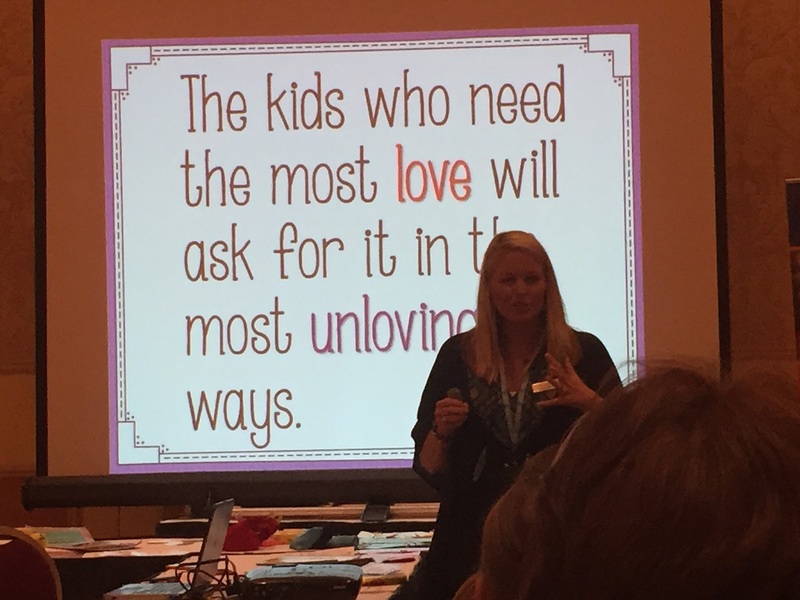 I didn't get a picture with her unfortunately, but here is one of the quotes in her presentation that I loved. There is always a huge Teacher Blogger Meet Up on Wednesday night, I was so excited to get a chance to attend this year, this was my first time and it was awesome! Not the greatest picture, but here are the awesome organizers of the meet up. 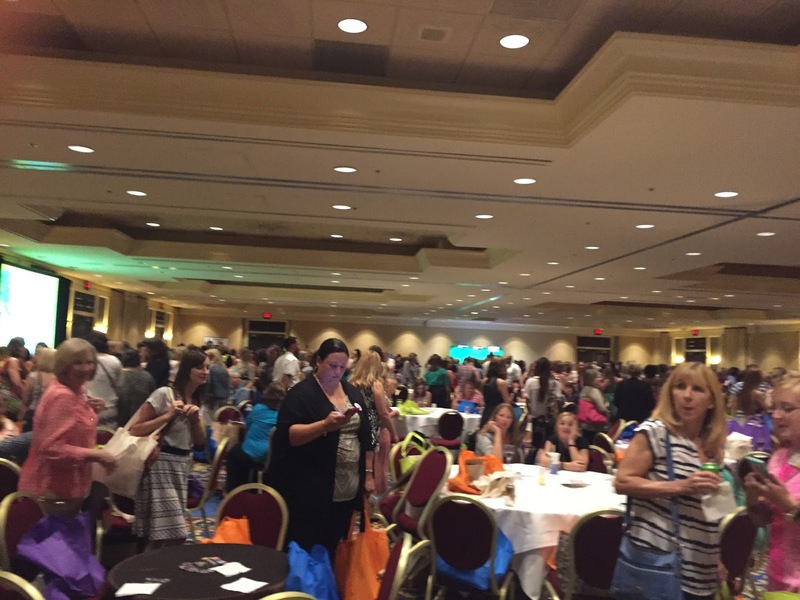 There were over 1,000 teachers at the meet up! It was packed, but full of awesome and talented teachers! You can sort of see how crowded it was in this picture, this was only one side of the room! We got our picture with Freckles from GoNoodle, we LOVE GoNoodle! I got my picture with Amy Lemons, she was one of the absolute first blogs that I started reading and she is one of my all time favorite bloggers. 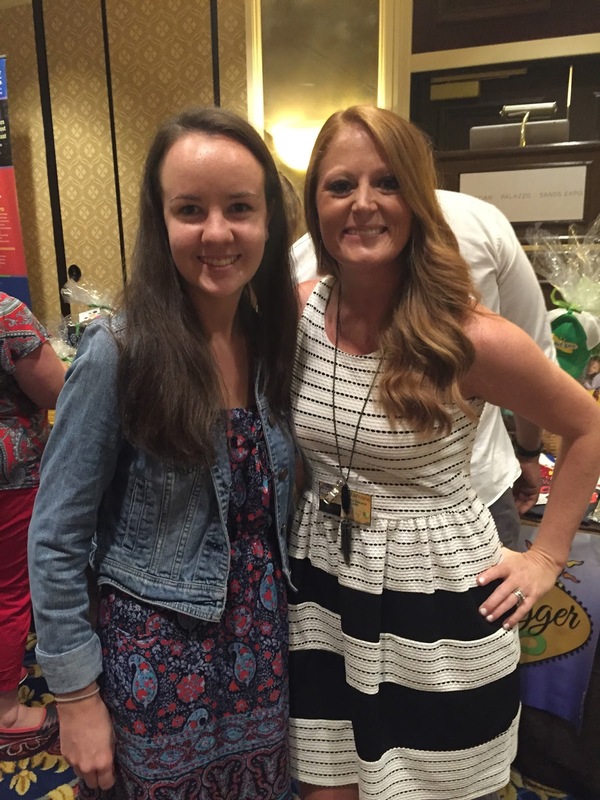 She was so sweet, I am so glad that I got to meet her! Ignore my hair in these pictures! Looking back at the way my hair looked makes me cringe! I also got to meet and take a picture with THE Deanna Jump. She was so nice, I was so excited to be able to get a picture with her. 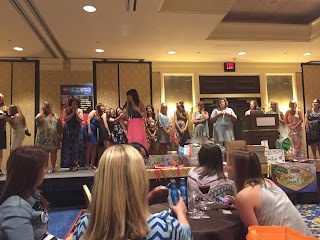 They gave away $55,000 in prizes at the meet-up! There were all kinds of awesome prizes. 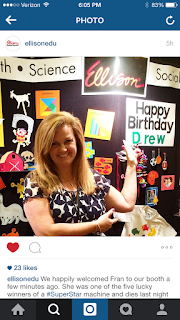 We were shocked when my mom won an Ellison die cut machine! We can't wait for it to come! 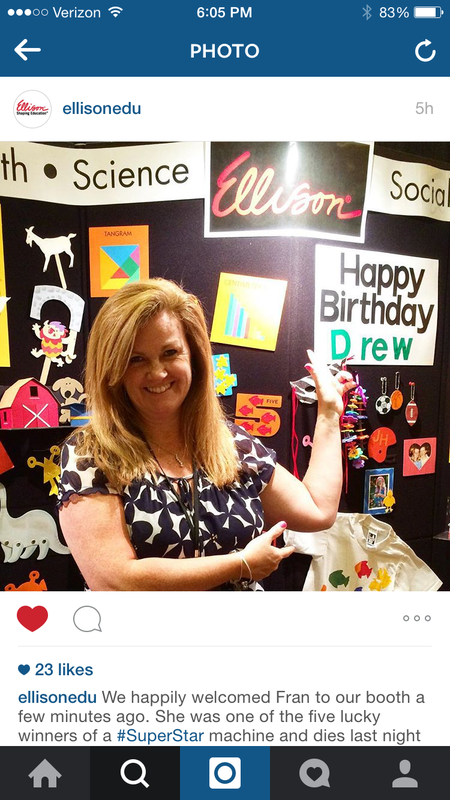 My mom stopped by the Ellison booth the next day to see what she won and they took her picture for Instagram! Right after she won, my number was called, I won $100 to spend at SitSpots. I went to their booth later in the week and did a major shopping! 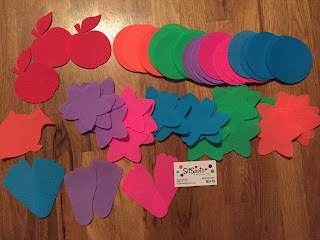 Here is everything that I picked out, I already have SO MUCH in mind to do with these! If you have not seen SitSpots, you have to check them out. They attach to your rug so you can have assigned spots for your kids, or you can attach them to the rug and use them for games and activities. The next two days were spent at the Teachers Pay Teachers Conference. It was inspiring and so much fun! I can't wait to go back next year!